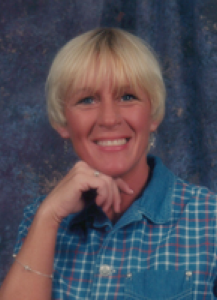 Mary Lynn (Douglas) Zwiebel, 50, 310 S. Main St., Sidney, Ohio died of complications due to surgery at the University of Kentucky Hospital in Lexington, Kentucky at 5:30 AM on Thursday, July 23, 2009. She was born July 16, 1959 in Camden, Tennessee the daughter of Lindell Douglas and Donald and Naola (Douglas) Gold. She was preceded in death by her father and step-father. Her mother survives in Sidney and other survivors include four children, Terry Wooddell with Amber McElroy of Fort Loramie, Ohio; Mellisa (Wooddell) Riddle of Sidney, Ohio; Angela Shoop with Scott Hopkins of Camden, Ohio; Sarah Shoop of Sidney, Ohio; two grandchildren, Anthony Brady Smith and Morgan Hopkins; two sisters, Kathy J. Sayre and husband Bob of Maplewood, Ohio and Donna M. Gold of Jackson Center, Ohio; two brothers, Gary L. Douglas and wife Gladys of Stearns, Kentucky and Brian K. Gold Sr. and wife Mollie of Sidney, Ohio, 14 nieces and nephews and her companion, Gary Terry of Stearns, Kentucky. She was a loving mother, grandmother, daughter, sister and aunt. She was a member of Faith Baptist Church in Sidney, Ohio. She was a homemaker and caregiver. She loved life and will be sadly missed. Funeral services will be held on Wednesday, July 29, 2009 at 1:00 PM at Salm-McGill and Tangeman Funeral Home in Sidney with Rev. Chad Inman. Burial will be at Rosedale Cemetery, Rosewood, Ohio. Friends may call at Salm-McGill and Tangeman Funeral Home on Tuesday, July 28, 2009 from 4-8 PM. Memorial contributions may be made to the children of Mary Zwiebel.